Out-of-sight and out-of-mind, that’s the Elite Hideaway® difference.When not in use your Elite Solar Pool Blanket is stored away. It’s easy to operate with a single person able to remove or replace the Solar Blanket in no time at all. The other unique benefit is this range can be installed to new and most existing pools of almost any shape and size. Your pool blanket and roller are hidden away underneath the aluminium lid. Adds value to your home, a must for any new or renovated pool! The Elite Hideaway® Pool Cover not only is aesthetically pleasing but it saves time, money and our most precious resource, water. 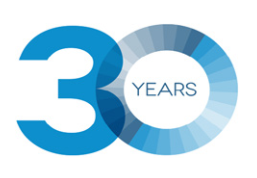 Ever since 1989 Elite Pool Covers have been creating a wide range of automatic and manual pool cover systems for pool owners who embrace innovation, safety and security, while also having a keen eye for design and style. 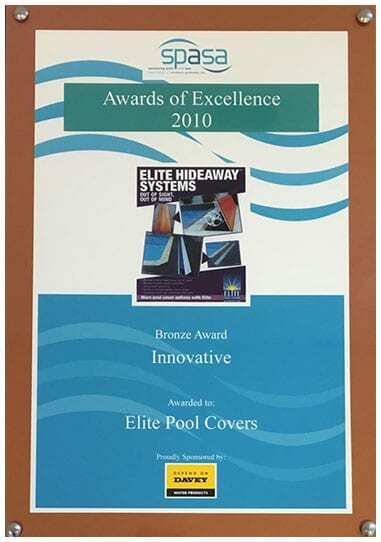 Elite quality simply cannot be found in other pool cover systems… insist on Elite Pool Covers! Thanks for great service and an awesome product. We are loving the hideaway roller, as we can take cover off and put it back on so easily, it has massively reduced the cleaning process due to 3 massive gum tress around the pool, plus it has help keep the pool temps up and made it easy for the solar heating to do its job. The photos show how the hideaway give a great clear and clean pool area, so important for us!